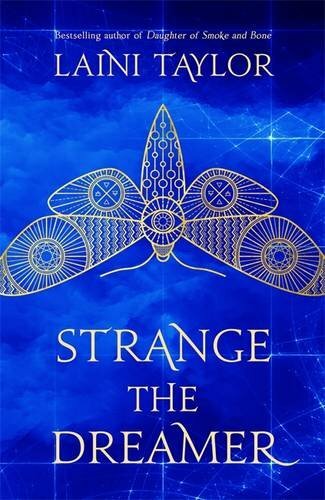 It's been a long wait for something new from Laini Taylor, I absolutely adored her writing in the Daughter of Smoke and Bone series but if anything she's honed her skills even more and Strange the Dreamer was even more beautifully written. She always manages to completely captivate me with the worlds she creates and when I fall into one of her books I never want to come back out again. 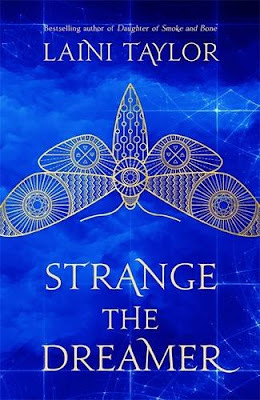 Strange the Dreamer is the story of Lazlo, a young man who was orphaned as a baby and raised by monks before he discovered the magic of the great library and trained to become a librarian. Lazlo is in part a little like every book worm you'll ever meet, he's obsessed with stories and spends so much time with his head stuck in a book that real life often happens around him without him even noticing. Lazlo's biggest obsession is the mystery of Weep and he has dedicated his life to reading everything he can about the city that disappeared so long ago. It's been years since anyone was able to find Weep and nobody can even remember the city's real name but Lazlo longs for it to be discovered again and he would give anything to visit the place he has spent so long dreaming about. Lazlo is a dreamer but he's also smart, funny and very caring. He always tries to help people but never expects thanks for his hard work and is so grateful for every opportunity he is offered that he never takes anything for granted. This is also the story of Sarai, a young woman who has been trapped in her home for years with only her siblings for company. I don't want to get into too much detail about where Sarai is or how she ended up trapped there but her path crosses Lazlo's in the most unusual manner and I absolutely loved spending time with them both and watching the beginnings of their romance. Sarai and her siblings have been through something horrific but thanks to her unique talent she is the one best placed to understand both sides of the story and she longs for peace and freedom. She's such a compassionate girl, one who has seen the worst people have to offer but who also has great capacity for forgiveness and who tries really hard to look at the good in people. Once again Laini Taylor has created a world that you just want to dive into, there are so many beautiful and amazing things to discover but there are also dark secrets lurking underneath that will leave you reeling. Her characters are people you want to be friends with and even her villains are so complex that you can understand their actions even if you don't particularly agree with them. There is so much pain and fear between the two different groups in the story that it's going to take a miracle to pull them together but I have complete faith that if anyone can pull it off Lazlo Strange and the Muse of Nightmares can. Working together I think they can achieve anything. Strange the Dreamer is definitely one of my favourite books of the year and there is no doubt in my mind that it is going to be appearing on a lot of "best of 2017" lists. The Muse of Nightmares is right at the top of my 2018 wish list but I know I'll be rereading this book while I wait for it to be released. I just have to add that I think the UK cover is so gorgeous and after a little arm doodling I think it would make a pretty gorgeous tattoo too!